The Best Kept Secret In Georgia! Old Hickory Ridge Estates is located in the town of Hiawassee GA. Nearby is Lake Chatuge in the northern part of Towns County, which reaches far into North Carolina. Surrounded by the Chattahoochee National Forest, this property is the ultimate in privacy, while still being within a short distance from the Hiawassee town center for everyday needs. Hiawassee is a Cherokee word meaning "meadow." 20 minutes to the N. Carolina border. 1 hour 15 minutes to the Tennessee border. 35 minutes from Clayton, Georgia. 30 minutes from beautiful Lake Burton just outside of Clarkesville, Georgia. It's a beautiful lake sporting 62 miles of shoreline. 35 minutes from Brasstown Bald, Georgia, the highest point in the state. 1 hour 15 minutes from Cherokee, N. Carolina, Smoky Mountain vacation destination with plenty of fun activities - museums, amusement parks, casino, hiking trails, scenic drives, great shopping, and more. 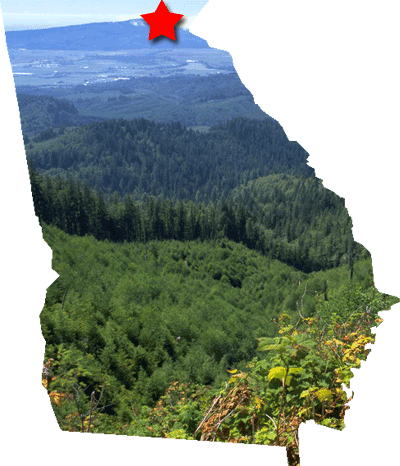 1 hour 45 minutes from Maggie Valley, N. Carolina, located on the edge of the Great Smoky Mountains National Park. Activities include: skiing, hiking, camping, biking, whitewater rafting, horseback riding and more. 1 hour from Commerce, Georgia, home of the Atlanta Dragway, a destination point for racing enthusiasts since 1976. Atlanta Dragway has schedule events throughout the year. Just because you're "away from it all" doesn't mean that you have to give up good food. Hiawassee offers a wide assortment of restaurants including: authentic Japanese, Thai, Italian, NY Pizza and, of course, good old country cooking. Blue Ridge, Georgia offers a scenic 3 hour ride along the Toccoa River from Blue Ridge to McCaysville. A wonderful trip for children of all ages. If you enjoy riding motorcycles, then Deal's Gap, N. Carolina is for you. People come from all over the country to ride. The "Tail of the Dragon" is located about 1 hr 30 hours from Hiawassee, GA. Excellent golf courses, horseback riding and stables, hundreds of miles of hiking, fishing (bass, trout, perch, bluegill and more! 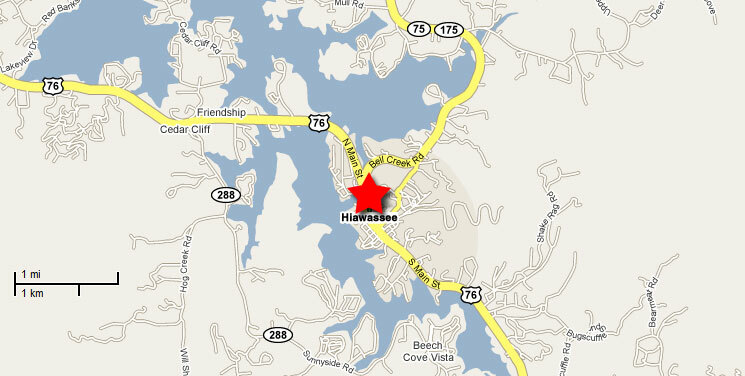 ), rodeos and many other activities can be found in Hiawassee or just minutes away.